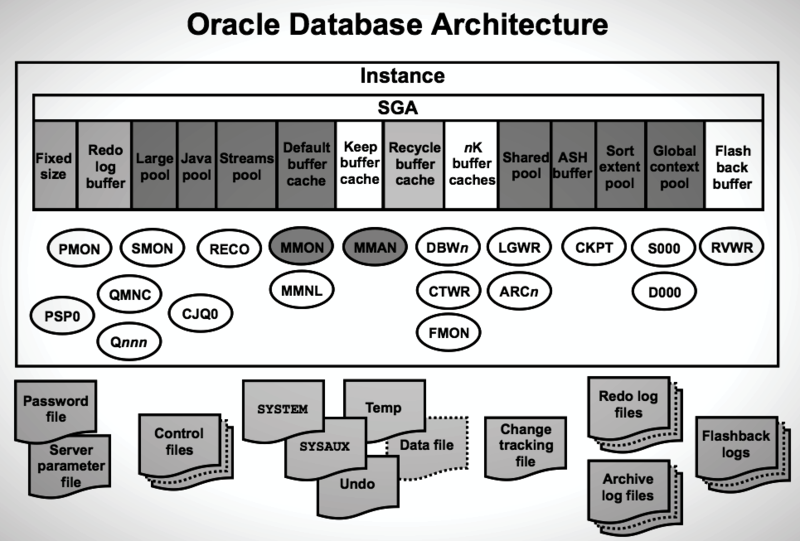 Before Oracle 12c, pluggable databases didn’t exist; whenever we wanted to clone a database we had use either RMAN Backup and Restore or RMAN Duplicate (Active or from backup location). There are several use cases to consider when we are talking about cloning databases, from low-criticality cases like cloning a database into a new empty server to highly critical cases like cloning a production database in the same production server. Whatever the use case, most of the time, a DBA considers only four kinds of files when planning to restore a database: spfile, controlfiles, datafiles and redologs. It was kind of strange for me to see that the block change tracking file was involved in an “alter database recover logfile” operation. I tried to complete the recovery of the database but was unsuccessful because the database reached the problematic SCN. I had to recover the database for a previous SCN, and the only way to fix this was to raise the RMAN duplicate again from the beginning. Here was where I started to feel the stress because I had only a few hours available to complete this task. So, some advice: Always check out if your database uses block change tracking file if you are in one of the versions impacted by this bug. The bug seems to occur when Block Change Tracking is enabled in the source database and a datafile was “autoextended”. When the sequence in which the datafile size was changed is applied to the auxiliary instance, the duplicate fails when trying to create the Block Change Tracking, leaving the database in an inconsistent state in the middle of a recovery process. So the advice from this article is always to check whether the database is using block change tracking. There are several bugs related to block change tracking while duplicating databases with RMAN, and even restoring and recovering databases. If the source database is using block change tracking, I advise that you disable it in the target database before restore and recover. By doing so you will avoid encountering the bugs related to it. This procedure is also recommended in the note: Rman Duplicate fail ORA-19755, Tries Open The Block Change Tracking File of Source DB (Doc ID 1098638.1). Now let me tell you a little bit more about some other scenarios that I also tested. This error says that the new block change tracking was not created because it “already exists”. We know that that existing block change tracking doesn’t belong to the new database, but this is OK; as long as it was not overwritten, we are OK. We can safely enable block change tracking in the new database using a different file name. In this article there was presented a real use case where the file that usually DBAs think that don’t have importance, in fact it has and a lot of importance actually. Block Change Tracking can be used in any database, it is recommended in huge databases where the time to perform a backup is long. This article makes DBAs to put attention either the BCT is being used or not, because there are some bugs, especially since 11.2.0.3 until 12.1, like the bugs presented in this article, that could take the DBAs to run out of time in a maintenance window. It is better to always recommended to review if BCT is used and proceed properly while restoring a database or duplicating it. In this article there was presented the steps to review if BCT was used, there were provided recommendations and how to proceed to avoid the well-known bugs.